On the surface, I am a young PhD student, studying my absolute favorite subject in the whole world. I am independent from my parents. I am asexual. I have a super cool secret life. I can speak in English, and I know French, and some American Sign Language. I am a voracious reader, both of fiction and non. I love playing the piano. I am an Autistic Woman. And I have a story that wants to be told. What is The Third Glance? Read other particularly good posts here. Please leave comments! I like to know what other people are thinking when they read things I have written. I am reachable at: TheThirdGlance <at> gmail <dot> com and @TheThirdGlance on twitter, though I’m still trying to figure out twitter, so email or comments are better. If you would like to be added to my blogroll, please let me know! I’ve been remiss of late in keeping it up – if you don’t see your blog there, it’s not because I don’t love reading it! It’s simply because I’ve gotten overwhelmed and can’t deal with putting everything in right now. If you send me an email, I’ll happily add it to the list. I’ve started reading a lot of amazing new blogs recently, and don’t have the ability to keep updating it all the time. I would also like to give credit to the creator of the wordpress theme “NEAT!” for the header image that I’m currently using. It’s not of my creation, but it is wonderful and I love the design, and it seems to fit the “third glance” idea very well. So thats where it came from. Hi, I added you to my blogroll. I only follow and add blogs that I actually enjoy and intend to read frequently. I will read each of your past articles sooner or later (I hate the term ‘sooner or later’, because really that just means “at some point in time that is not yet determined” as any time in the future must fit into one of the categories of sooner or later, but it is shorter even though it is redundant and as to avoid taking more time to say the above in quotation marks, I actually took longer because I had to explain it… ugh) and I look forward to each one and will try to comment my thoughts on each. Aww, thanks 🙂 I’m glad you enjoy my blog. Sadly, I haven’t yet gotten over to yours, but I will! I try to at least read some of each of my followers… most of them, I read everything… Cheers! Heya, thanks for writing. I left a late submission over on quirky and laughing, I think I enjoyed the chance to say something on the subject. I am kind of new to this and have been looking for advice on a return to community college. Can you point out any particular posts or resources you know of? I have been googling like mad and have found very little on the subject of adult aspie education. Welcome to the blogosphere! 🙂 Thanks for the comment, I hope you stick around here. In terms of resources of adult aspie education, I can’t really think of anything except possibly Spectrum U – a wordpress site with college resources for Autistic people. I would also check in with the Autistic Self Advocacy Network – they tend to have really great resources. Merci for the clever tip! Thank you for following my blog. I just read a few posts on yours. I really enjoyed the Once Upon a Time Blog, it was indredibly well written. I’m still new at this blogging thing, my wife is the pro, I’m just putting in my two cents! Quite an interesting style for your blog and it seems to be very well written! Btw, I am an aspie occupational therapist. It may seem odd, but it is true. You are fortunate. Many adults with ASDs live at home with an aging parent and 20% of adults with disabilities cannot or do not work. My ears and startle reflex dictate my very limited life. I write about my experiences on my blog, autisticaplanet blogs. I am sorry, but I hate reading, it causes me migraines, so I will subscribe, but response will be very slow. I hope those with AS who are blessed enough to be making it in the world will help advocate for those of us who need help making it. I wish you every success. Unfortunately labeling has to be done by Society as this is how Society exists. Society fears the unknown, so therefore there is the feel safe factor in labels. Labels are a way in saying individuals under each label are the same. However, if this was given any thought, this would attribute to be nonsense. By the terminology an individual is an individual and therefore in some ways we are all different, no one being is exactly the same. But Society can not cope with this, therefore there are labels. You are who you are and do not let others say differently. Very optimistic. I’m also independent because I live alone, but maybe not that independent, because my parents bought me a house. I didnt buy it myself, and I dont pay rent, and this bothers me. I work for minimum wages. Also, you go to college and study something you love, which is great. Aspies are the best students in college. Sadly, many aspies dont go to college, I didnt. and quite a few live with their parents at home. You are an example of aspie success. Perhaps many more aspies can achieve this if they believe in themselves more. I’m always looking forward to your new blog entries. I’m quite liking what you have to say and looking forward to reading some more of your posts! Thanks, Ellen 🙂 welcome to the blog. 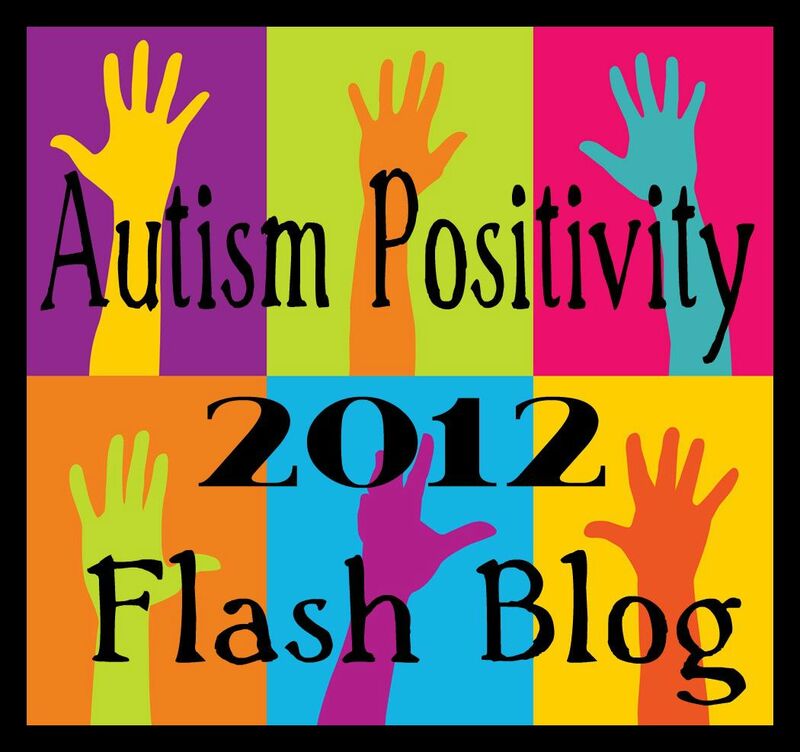 Third Glance, your blog is currently included on our Actually Autistic Blogs List (anautismobserver.wordpress.com). Please click on the “How do you want your blog listed?” link at the top of that site to personalize your blog’s description.